NBA fans got the chance to watch three elimination games Friday night. Each of the teams looking to move on faced an uphill battle in enemy territory. But good teams don’t worry about where they play or even who they play. They play their game—and they win. So—did they Friday night? Could the Wizards finally win one in Atlanta? Would Boston complete the comeback? Could the Clippers force a Game Seven? 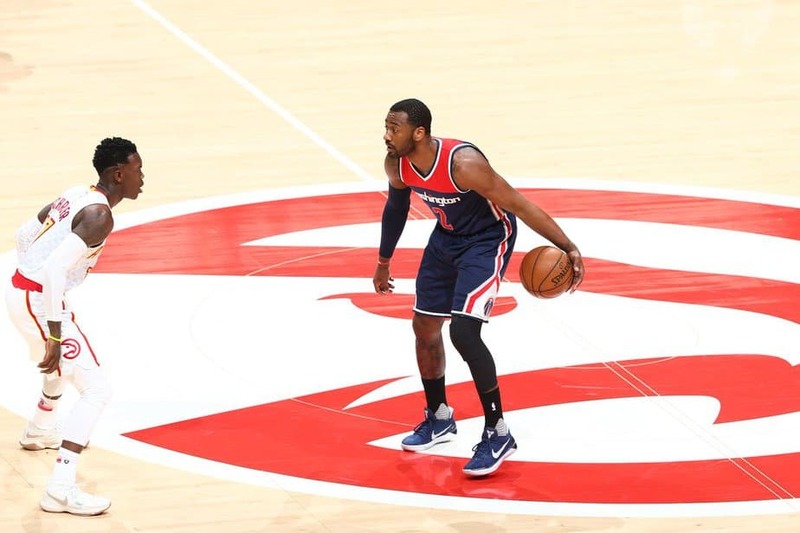 After notching a clutch win over the Hawks at home in Game Five, the Wizards had a challenge on their hands if they were going to win Game Six and close out the series. The Hawks won the first two games in Atlanta and would certainly come out guns blazing to keep from getting eliminated at home. Could the Wizards handle whatever Atlanta managed to dish out? Led by John Wall’s 42-point night and a 31-point effort by Bradley Beal, the Wizards were able to get out to a big lead; as much as 22-points early in the third quarter. But then the lead nearly disappeared. The Hawks staged a valiant comeback attempt—and it almost worked. Jose Calderon got the Hawks within three, 90-87, with a 23-foot three-pointer early in the fourth quarter. But the Wizards rallied on both ends of the court holding the Hawks to nine points for the remainder of the game (and no baskets for the last 2:36). The offense put up another 22 to make the final score 115-99, Washington. John Wall had 19 of his 42 points in the fourth quarter. Atlanta got decent nights out of Paul Milsap (31 points, ten rebounds) and Dennis Schroder (26 points, ten assists). But the Hawks got another lackluster night from Dwight Howard (nine points, seven rebounds). Washington moves on to the conference semifinal round to face the Boston Celtics. Game One will be Sunday, in Boston, at 1 PM ET on ABC. Matchups between No. 8 and No. 1 seeds are not supposed to be two points ones, but when this one started, it had the makings of a rare and epic upset. But then Rajon Rondo was injured, and the Celtics appeared to get their act together. After winning their third in a row in Game Five, they got a chance to close out the series in Chicago Friday night. Could they pull it off? Absolutely. Isaiah Thomas struggled from the floor hitting just four of 11 shots (1-7 from three-point range) for 12 points—but that wasn’t a problem since the rest of the starting five came through. 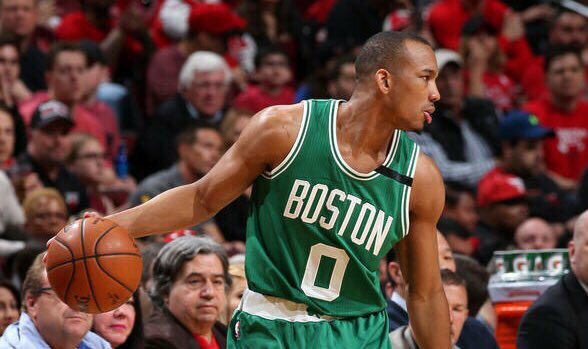 Avery Bradley led the way with 23 points while each of the starting five ended up scoring in double figures (Al Horford and Jae Crowder had 12; Gerald Green–16 points). After getting out to a 54-41 lead at halftime, the Celtics poured it on the third quarter (34-18) to take a commanding 88-59 lead into the fourth quarter. Boston let off the gas in the final quarter and let Chicago close the deficit to 22 points. Jimmy Butler led the way for the Bulls with 23 points but did not get much help from anyone else. The rest of the starting lineup chipped in just 26 points. Dwayne Wade finished the night with just two points (1-10 from the floor) in 19 minutes. Bulls fans must not have been feeling too friendly during the game. The Bears newly drafted quarterback, Mitchell Trubisky, was introduced to the crowd during the second quarter—and was booed. Boston will move on to the conference semifinals where they will play the Washington Wizards. Game One will be in Boston at 1 PM ET on ABC. The Golden State Warriors would have loved to have found out who they would play in the next round of the playoffs Friday night—not that it matters much. They destroyed the Clippers in each of the four games they played during the regular season. They lost one to Utah, but it was one that was meaningless to them and meant the world to the Jazz. They just want to continue the journey back to the Finals. Well—it looks like they are going to have to wait a couple more days to find out. 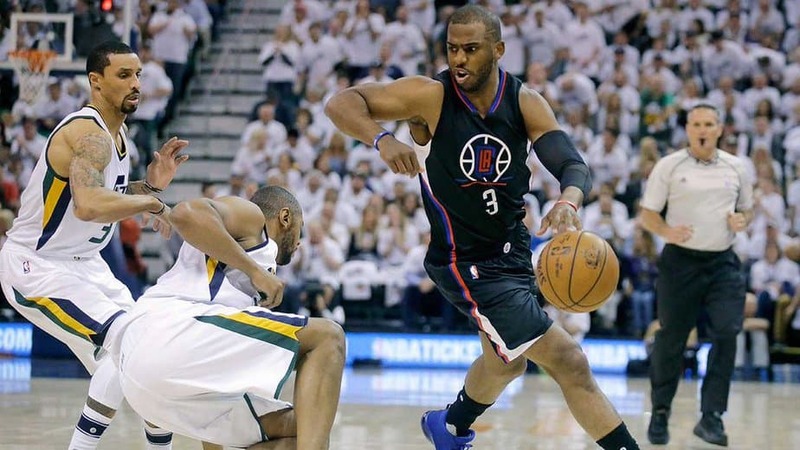 Game Six between the Jazz and Clippers was close for the majority of the contest. The Jazz led by two after the first quarter but were down by two heading into halftime. Los Angeles began to open the game up in the third and managed to get out to a 78-70 lead heading into the final quarter. After Austin Rivers had hit a three-pointer with 3:58 on the clock to extend the lead to 91-77, the game appeared to be over—but the Jazz had something else in mind. A furious rally allowed the Jazz to close within three, 96-93, after Gordon Hayward hit a three-pointer with 43 seconds left to play. But it was the last shot the Jazz would make. Chris Paul led the way for the Clippers with 29 points. DeAndre Jordan recorded his sixth double-double of the series with 13 points and 18 rebounds.